The guru of New Age and world Music Prem Joshua is a talented musical composer and globetrotter who rides a musical magic carpet effortlessly inspiring music form across borders. 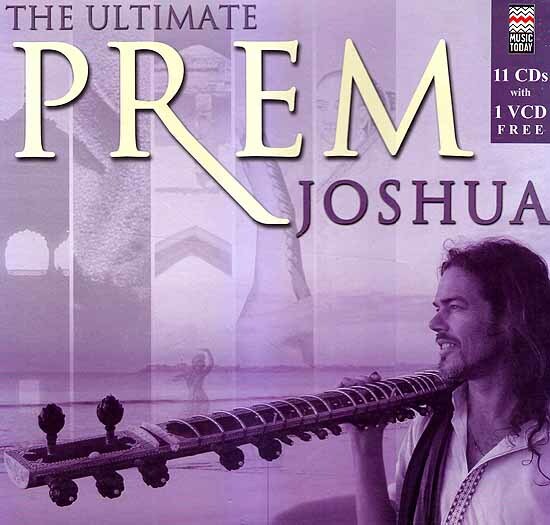 In this special collector’s pack of 11 CDs & 1 VCD featuring a music video we present the complete collection of Prem Joshua’s album that reflect his deep love affair with India. The music is a celebration of sounds and rhythms from East and West combining a host of Indian and Western Instruments blending effortlessly with varied styles – Arabic Folk, ancient Indian raga and desert grooves form Africa. His infectious style and genius of play with celestial instruments results in true masterpieces of fresh and inspired global music.